Do you have a shy dog? Is it an anxious dog, hyper or just socially awkward; barking or lunging at dogs it doesn’t know? Often times, dogs act out due to insecurities that stem from not knowing how to interact, play with or just be around other dogs. This is usually a result of lack of socialization experience. To help dogs with these problems, we are proud to announce Dog Gone Problems Socialization and play classes, aka Dog School! Our goal for these socialization and play classes is to provide a safe, controlled environment where socially awkward, boisterous and inexperienced dogs get the opportunity to meet, socialize and eventually play with other dogs. 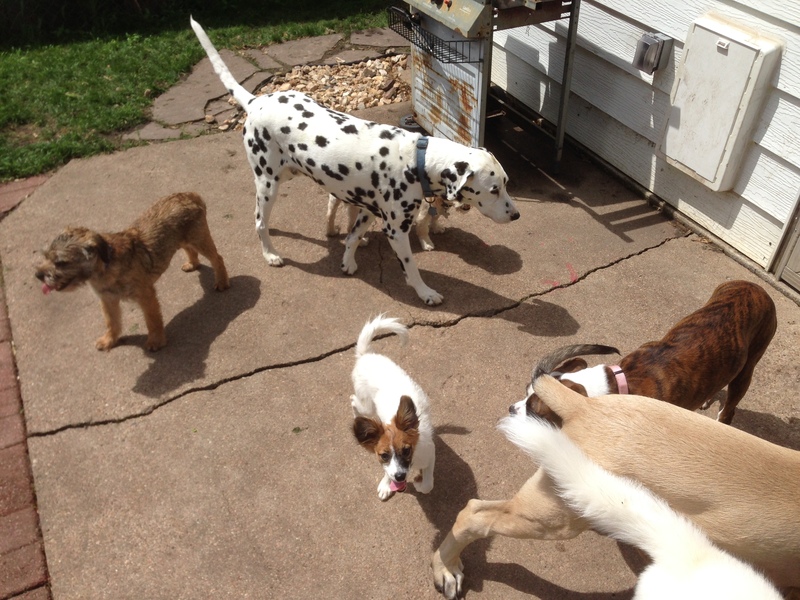 We will be grouping dogs together by size, confidence and energy levels to put the dogs in the best position to excel in these socialization classes. 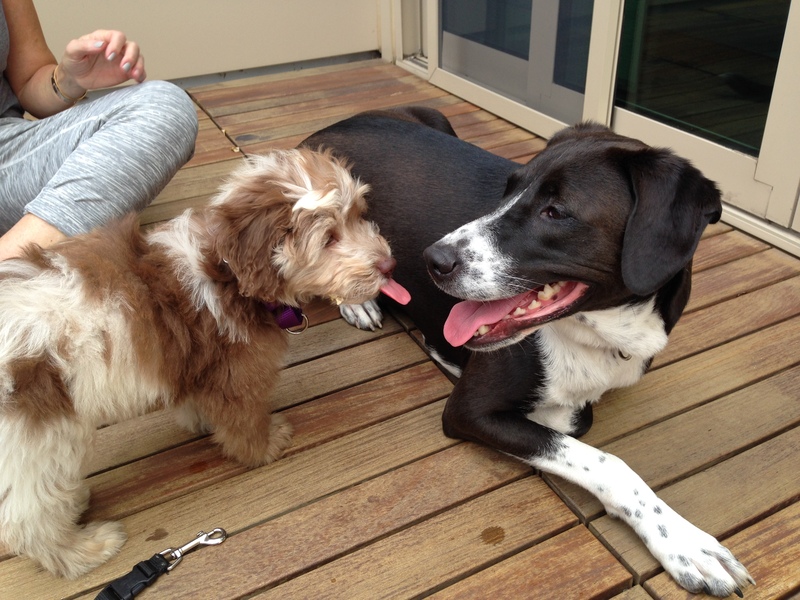 If your dog is just a ball of energy or can’t get enough play time with other dogs, we can help with that too. 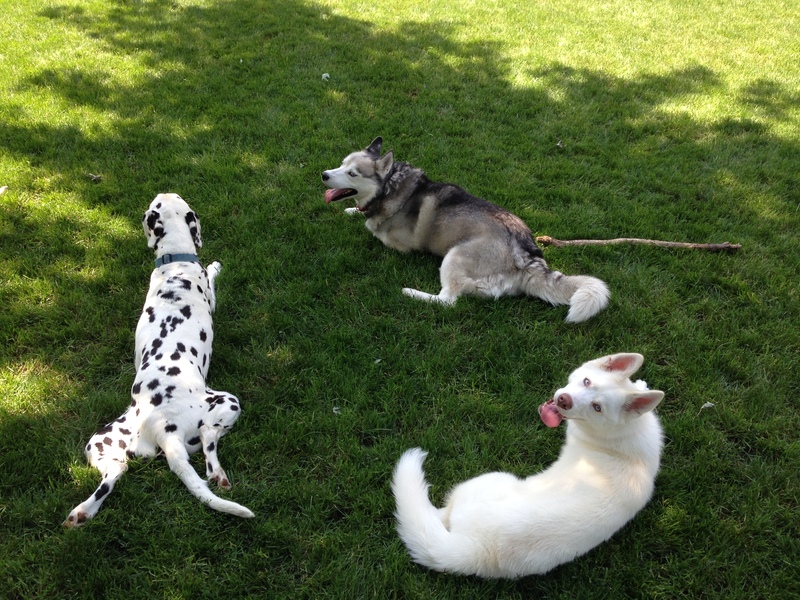 We need balanced dogs who love to play to help the other dogs learn. So if you get home from work and your dog is bouncing off the dogs, we can help drain that dog energy with some serious play time. Your dog will get a chance to get to know the other dogs in the class which will lead to increased confidence. 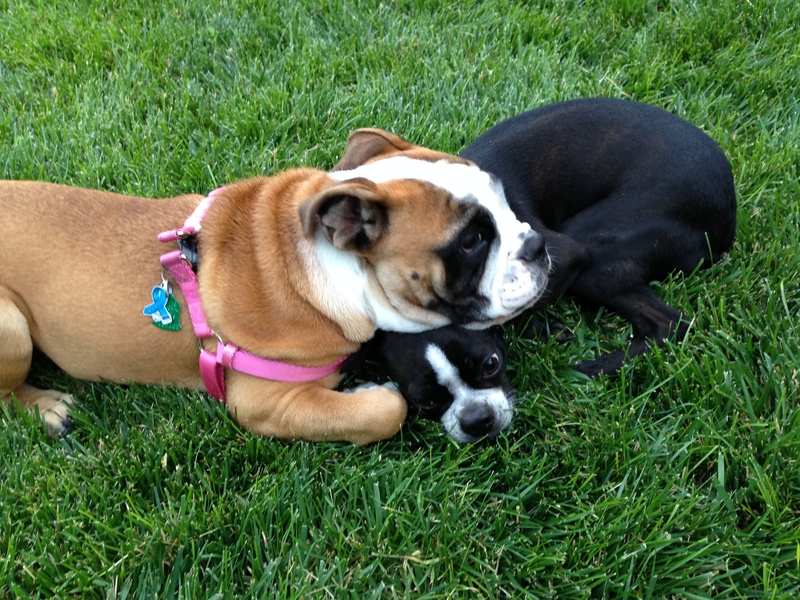 The more time the dogs spend with one another, the more comfortable they will become. The classes will run for 4 weeks with each class running 30 minutes. 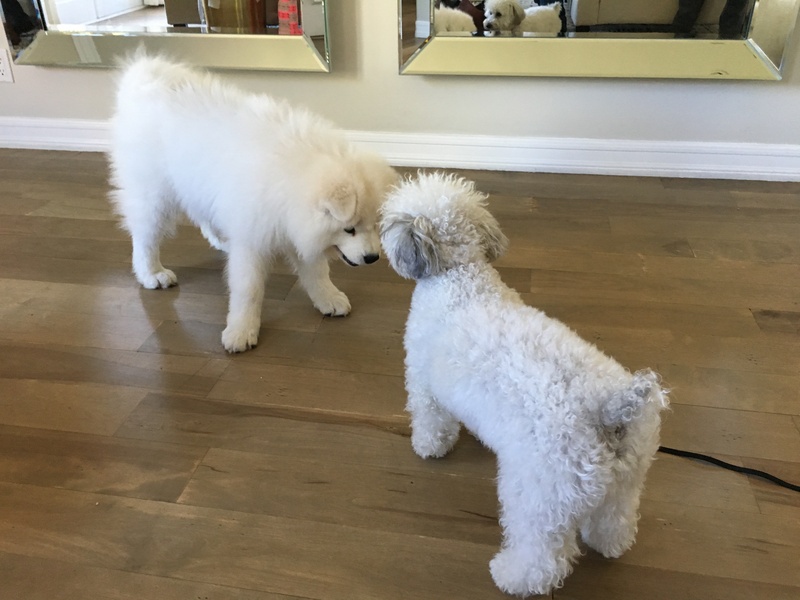 All play and socialization will be supervised by our staff and the dog’s guardians so we can share dog behavior tips and socialization secrets. Often times, knowing what to watch for and stopping or pausing the action at the right time can be the difference between a positive experience and a negative one. These classes give us the opportunity to show you what to keep an eye on and how to put your dog into a position to succeed, allowing you to find other dogs your puppy can become friends with. We have found in most cases, the dogs are not aggressive, they simply lack the social and problem solving skills needed to properly interact with new dogs. Dog social interaction is similar to humans in that the more positive experiences they have, the more comfortable and confident they become when meeting new dogs. 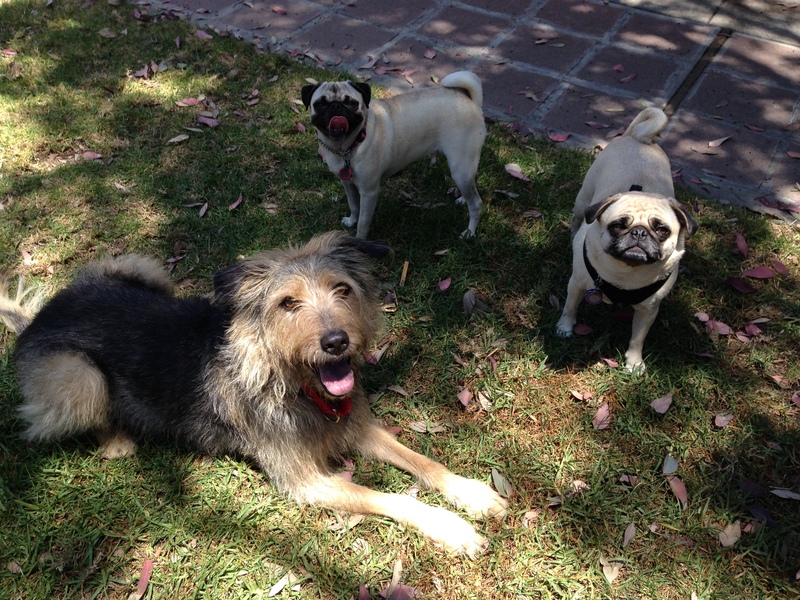 Making dog friends is important as it is for humans to find other like minded people to hang our and relax with. We have helped introduce many dogs who became lifelong friends and now do sleep overs or trade watching the other dog when their family goes out of town. Now in some cases, dogs do indeed have an aggression issue. While these classes are not intended for dogs with severe aggression issues, dogs with mild forms of aggression may be enrolled. We will consider these on a case by case basis. If you have a dog that falls into the aggressive category, let us know and we can schedule an in person evaluation to see if your dog qualifies. Helping your dog gain confidence and the social skills necessary to interact with other dogs is a life changing skill that leads to a more fulfilled and happy life for your furry friend. The more isolated your dog gets, the more pronounced their reaction to other dog’s usually becomes. Until now, there were no group classes in the area for dogs with this problem. We have been getting requests for help in a group setting for a while. 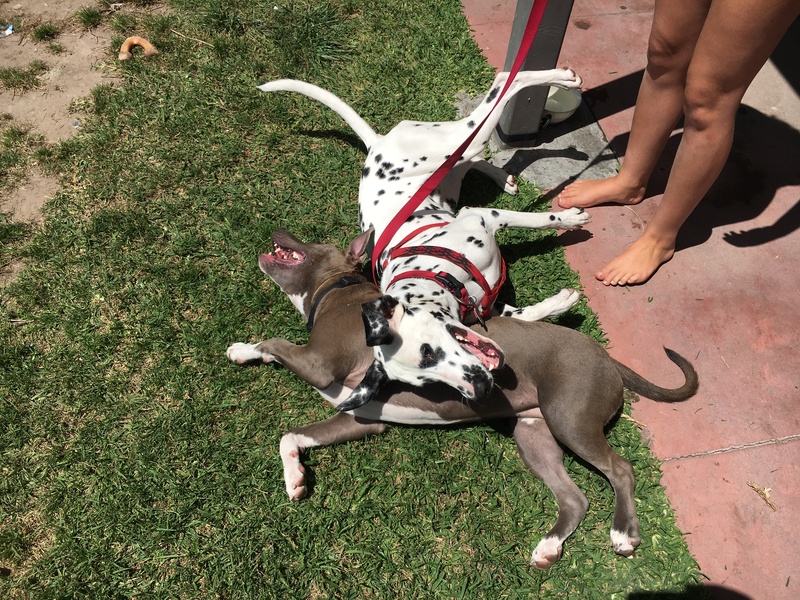 Now that we have a partner in Dogtopia to provide us with a safe in door environment to host these play sessions, we are putting the word out to all socially inexperienced and awkward dogs so they can learn to get along with other pooches. We will be holding these socialization classes at Dogtopia in southwest Omaha (1329 Portal Dr, right off the interstate by Cabella’s); Tuesday, Wednesday and Thursday evenings at 7:45 and 8:15.